LEN TSUKIMORI is the best for KAHIKO HINO!!!!!!!!!!!!!!! i hope there is a season 2!!!!!!!!!!!!!!! Wow. I can't believe everybody thought the same thing. I would love to see KAHOKO AND LEN TOGETHER as well. I can't believe the majority of voters thought of the same person as I did. I thirst for anime, would you recommend me one? swaying away in my own fantasy world . this question is getting old, but I like len and kaho 4ever! I also LOVE Len Tsukimora and Hino Kahoko to end up together!!! They're such a cute couple!!! GO! GO! GO! SEASON 2!!! Len of coz.. 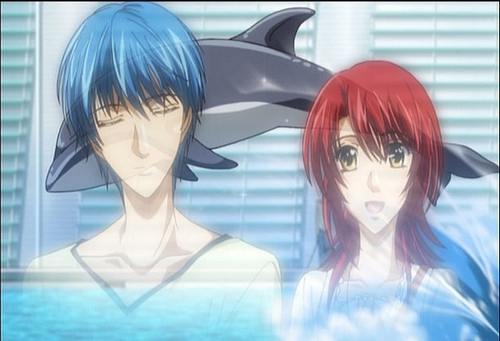 They look cute 2gether.. Kaho has melt his 'coldness'.. Lol..
KEIICHI! T~T Everyone forgets him!